I just uploaded G-Wizard Editor version 2.30 to the GWE Download Page. Release 2.30 is focused on improving the existing Conversational CNC Wizards. Wondering what “Conversational CNC Wizards” are? I’m so glad you asked! 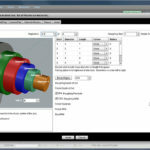 Conversational CNC is designed to make simple work simple. 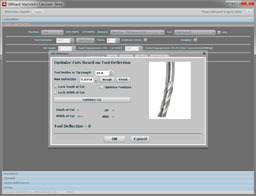 The idea is to make it quick and easy to produce g-code for simple tasks–quicker and easier than having to do a CAD drawing and run your CAM software. Instead, you just answer a few questions in the Conversational Wizard and it’ll generate the code right away. Conversational CNC makes it super fast and easy to do simple parts just like you would manual machining. In fact, you’ll be able to do a lot of things much more quickly with Conversational CNC than you ever could manual machining and all without ever starting your CAD or CAM software. We think this capability is so useful and important that we include it free of charge with every copy of G-Wizard Editor we sell. The combination of a great g-code editor, simulator, and Conversational CNC is a real productivity booster to have in your CNC toolbox. 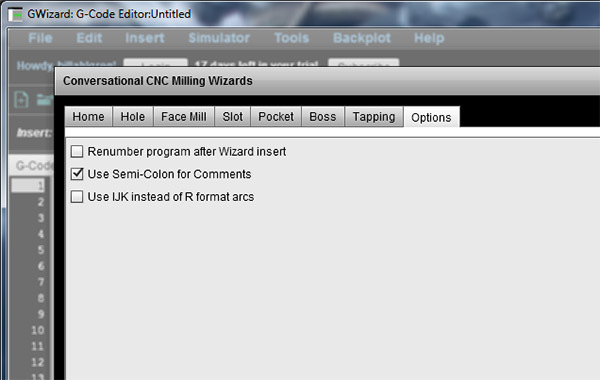 – Added all the Conversational Lathe Wizard features to Mill Wizards so they have work offsets, tool changes, coolant, and so on. – Made sure Conversational CNC Wizards always add a “.” at end of numbers so they don’t get in trouble on controls that require it. – Added more error checking to Conversational CNC Wizards. 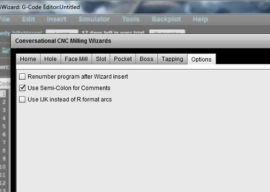 In particular, the error checking on Mill Wizards is updated to show in the Wizard rather than in the code and is much more extensive. – Added an “Options” tab to Conversational Wizards that gives more control over various kinds of formatting in the code generated by the Wizards. Options include the ability to use “;” instead of parenthesis for comments, ability to generate IJK format arcs instead of R, and the ability to add “N” numbers to each line after insertion. – Added a feature to Find/Replace that allows it to be driven from a CSV (spreadsheet) file containing multiple find/replace operations. This makes it easy to do things like swap around a bunch of tool numbers. – Fixed some bugs involving G68 (coordinate rotation) and arcs. – Made Conversational CNC Wizards scrollable so they can still be used with low screen resolutions. Renumber the lines with “N” numbers. The whole program will be renumbered using whatever options are currently set up in Tools Revisions Renumber. Use Semi-Colons instead of Parenthesis for Comments. I was told some controls really don’t like parenthesis. If nothing else, it also looks a lot cleaner. Use IJK instead of R format arcs. This is another one motivated by the needs of the control. 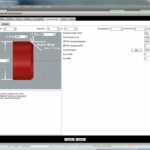 The Carbide 3D Nomad mills controller does not support “R” format arcs, just IJK. So, this is a quick fix so you can use Conversational CNC with the Nomad. All Options are saved from one session to the next, so set it up as you prefer and G-Wizard will remember. 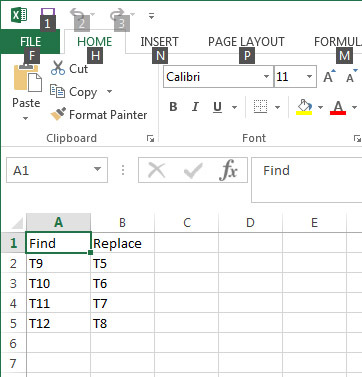 One column of “Find” values and one matching column of “Replace” values is all you need. This feature was motivated by a customer (thanks Clyde!) who had been handed a whole bunch of gcode files that needed their tool numbers changed. I suspect these kinds of wholesale changes are not that uncommon, so this feature will give you a way to automate them and save some wear and tear at the keyboard and mouse. Now that I have parity among all the Conversational Wizards, I will go back to adding new Conversational Wizards as the highest priority for GWE. There aren’t very many left to do! 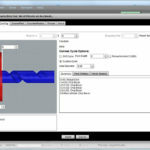 If you’ve never tried G-Wizard Editor or Conversational CNC, it is chock full of cool surprises and features that help make G-Code Easy. Check out the free 30-day trial.